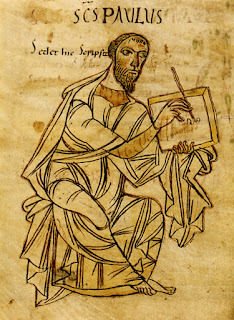 There is a common argument that because of the uniqueness of Paul’s opening greeting to Timothy, the letter is not Pauline. For instance, the use of the opening phrase order, “Christ Jesus”, versus, “Jesus Christ”, as in other letters of Paul’s. Paul uses the strong word statement, “by the command of God” unlike other uses of “the will of God” to describe his apostolic calling. And the use of the closeness of his relationship to Timothy by the words, “my true son in the faith” is close, but non-similar to other descriptions of the apostle. And finally Paul’s inclusion of the word “mercy” here in the introduction is uncommon to most of the openings of his letters. So what do we conclude from these oddities to Paul’s letters? Some have claimed that these are proofs of another author of the letter, but in this sermon it will be shown that Paul’s unique lack of personal proximity to Ephesus due to his imprisonment is the reason that he adjusted his language to meet the need to both equip and authorize Timothy for the battle he is fighting in Ephesus. We cannot help but connect the words of Jesus’ great commission with this emphasis: “All authority in heaven and earth is given unto me. Therefore go into all the world....” The task is great, the battle is real and fierce, yet the words of the Savior echo the sentiments of Paul in this opening text, "And I will be with you, even to the end of the world."